Bama RV Station is a quiet, peaceful and safe place to rest and relax, whether you stay with us for work, pleasure, overnight or year around. We are a family & pet friendly campground. Each of our RV campsites has power (30 or 50 amps), water, sewer and free Wi-Fi. You will have the luxury and convenience of never running out of water and no smell or noise from a generator. Your comfort and enjoyments are important to us. 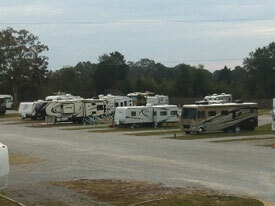 Bama RV Station offers all the amenities and services you need to make your RV stay everything you dreamed. We are located right off I-59/20 in Tuscaloosa, Alabama, home of the Crimson Tide! The Bama RV Station is a family owned campground that has the friendliest customer service. We hope to see you soon! 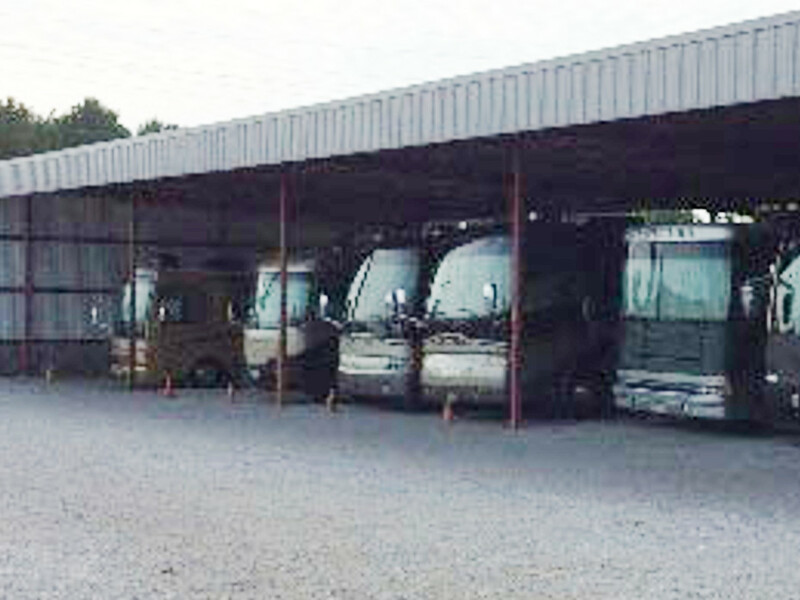 Rather than purchase a canopy to cover your RV in your backyard, you can save money by renting out a covered, monitored space with Bama RV Station. By protecting your RV from the elements, you’ll prolong its life, save money on repairs, and have to worry less about cleaning your RV when it comes time to take it back out on the road. Since 2009, 4 National championships and counting, we are Tuscaloosa's only tailgating experience for the Alabama fan that's all about convenience with the feeling of a "Home away from Home!" Packages are available for the upcoming football season. 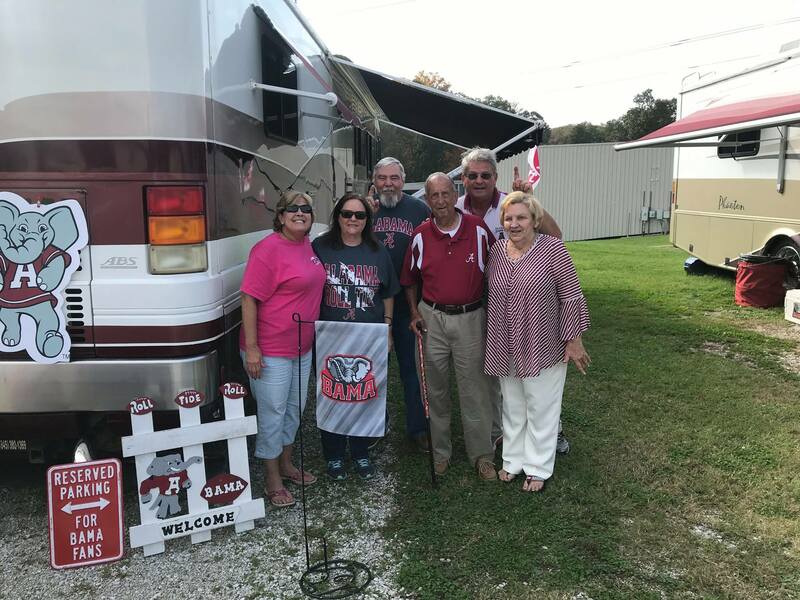 "I can't tell you how glad we are that we store our motor home with the people at Bama RV Station. They take such great care of us and we can leave our RV in Tuscaloosa all season. GREAT people to use!" RV storage for campus tailgaters. 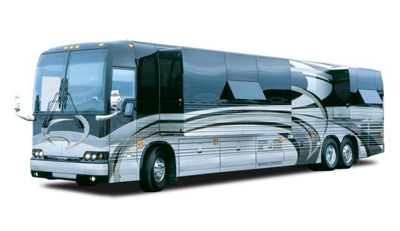 After the game, leave your RV with us and drive your tow car home. Would You Like to Learn More About Bama RV Station? Check out the Bama RV Station page!